It’s time for the Chewelah’s Annual Flash Fiction Contest, sponsored by The Independent (Chewelah, WA)! Chewelah’s Flash Fiction Contest: In 250 words or fewer, write a story using this picture for inspiration. Entries will be due next Thursday, April 18th, by 6 p.m.. 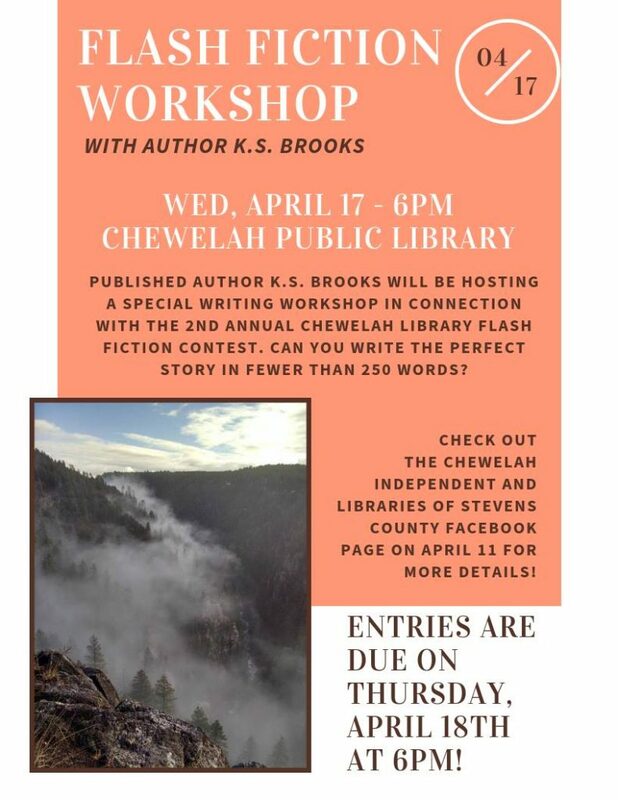 Please submit your completed and edited story to the Chewelah Library (311 E Clay), or email it to bryan@scrld.org. A winner and an honorable mention will be selected with both stories to be published in the April 25th Independent for all of Stevens County to enjoy. The winning story will also be published and printed in the Indies Unlimited 2019 Flash Fiction Anthology to be released in early 2020. For more details, visit the Libraries of Stevens County on Facebook here.